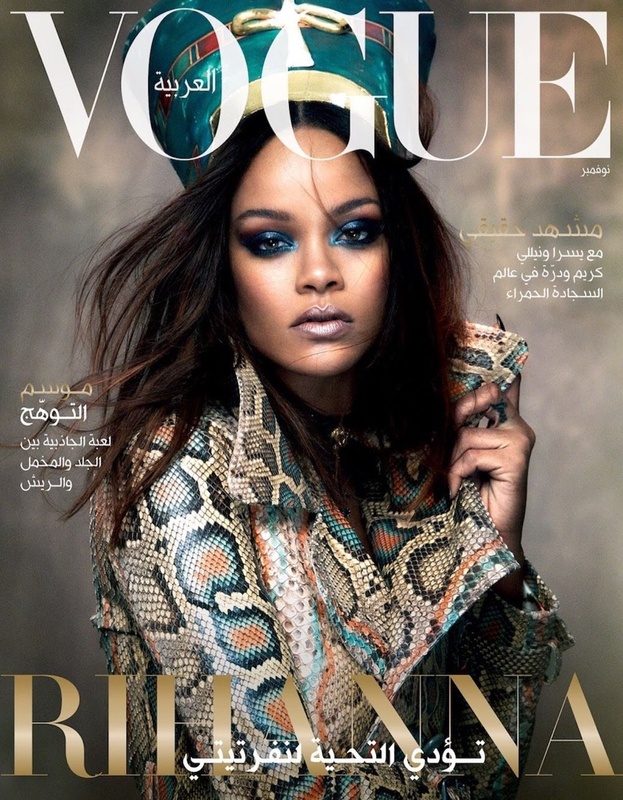 Superstar songstress Rihanna, whose Fenty Beauty line has become the talk of the town, covers Vogue Arabia November 2017. 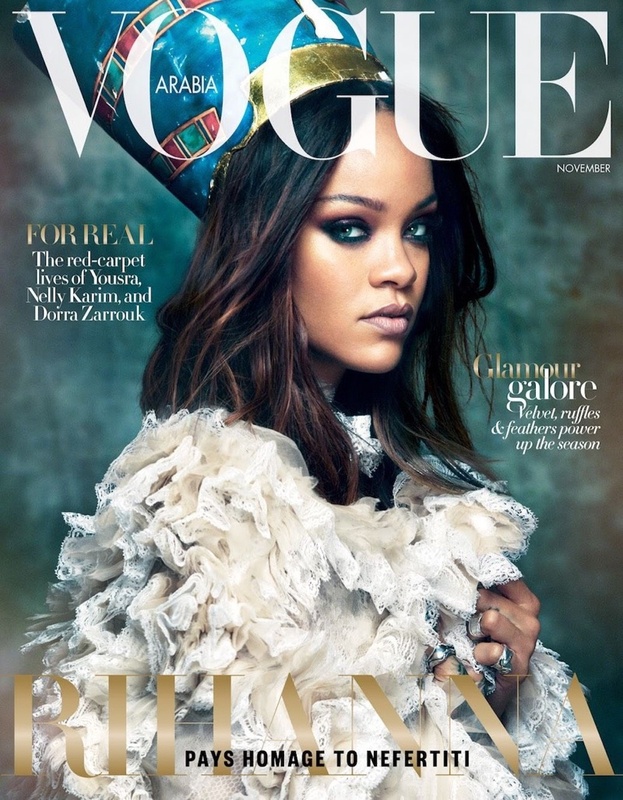 Channeling ancient Egyptian Queen Nefertiti, Rihanna is a mesmerising image on the cover, clad in a Gucci snakeskin coat with a custom made headpiece by Faeth Millinery for the Arabic version of the magazine. Rihanna sports a gorgeous metallic smoky eye with frosty lips, and is photographed by Greg Kadel, and for the English version of the magazine wears a white lace number, also by Gucci with the same headpiece and an eyelook with tones of dusky mauve. For the rest of the shoot, Riri channels royalty, and is alluring in gowns by Alexander McQueen, and is a vision to behold.